American Legion Post 584 supports the Big Bear community by providing food to the needy for holidays and providing gifts to less fortunate children at the annual Christmas party. We provide a comfortable and friendly meeting place for veterans to gather and talk. 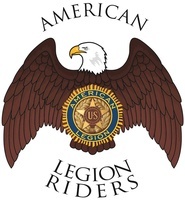 The American Legion Post also provides information for Veterans on how to get the help they need to live comfortable and fulfilling lives. Big Bear Lake Post 584 was founded by Commander Robert Hornberger (ret.) after WW2. At 6,750 feet, the American Legion Post is the highest altitude full-time private club in the USA.